Happy Wedding Wednesday Clemson Girls! 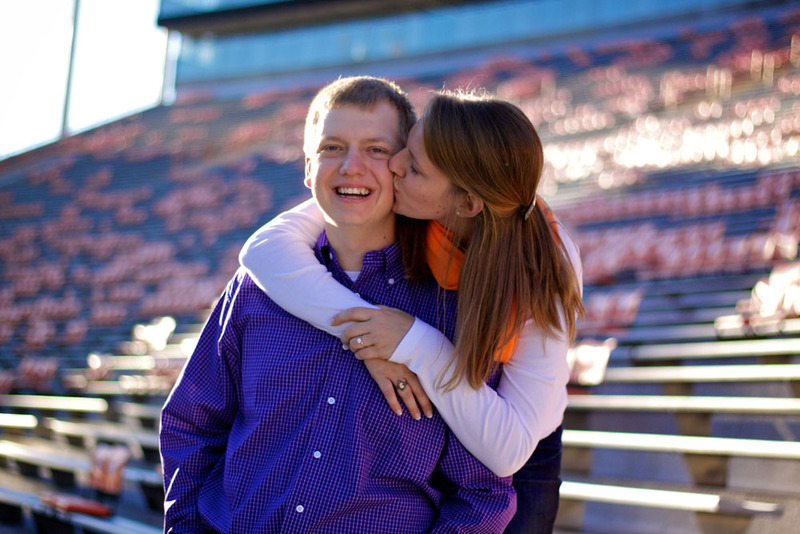 We hope you've been enjoying our special Fall edition of Wedding Wednesdays so far... Today we have another great Clemson engagement session and love story to share with you! 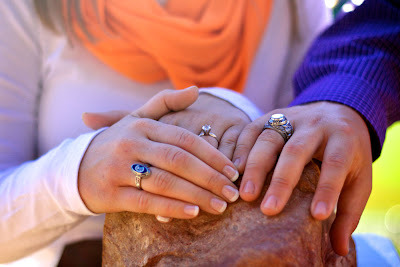 Today's photos were taken by Clemson alum, and friend of the couple, Rebecca Mosely. You can check out more of her amazing photos on her website. 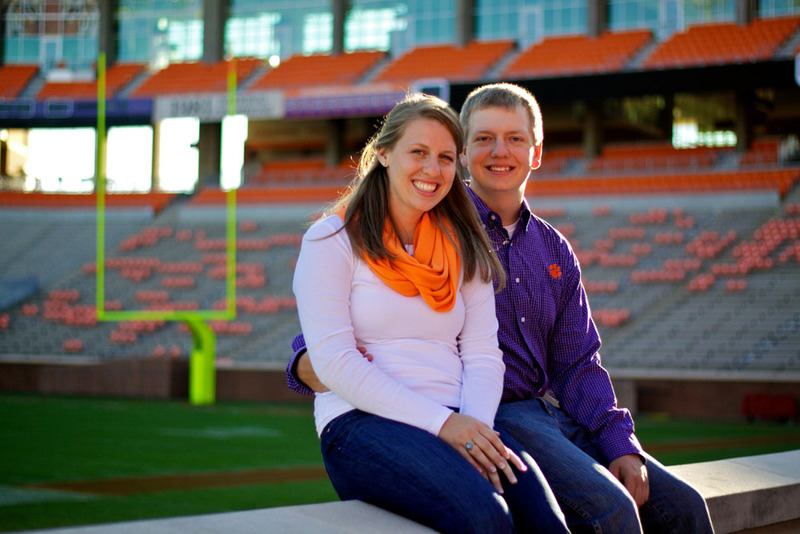 Sara and Josh are both Clemson alums - Josh graduated in 2011 with a degree in Biosystems Engineering. 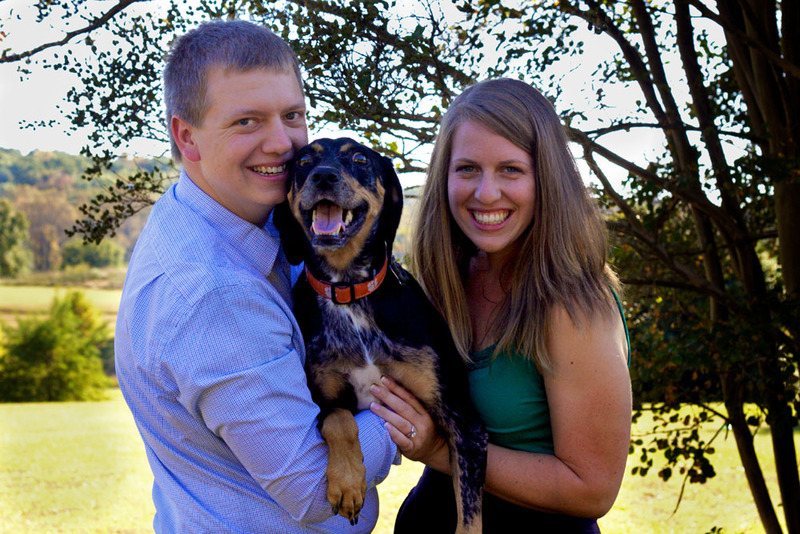 Sara also graduated in 2011, and graduated with a degree in Animal & Veterinary Science. 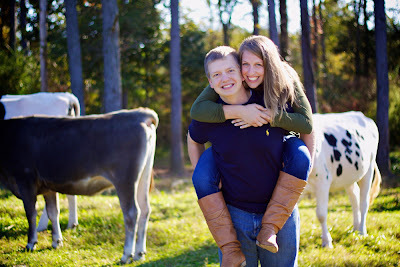 We met through his roommate who was also majoring in Animal and Veterinary Science with me at Clemson. And we were very much not into each other... and dating other people. We were mutual friends, and I would occasionally stop by and visit with his roommate and therefore I would see Josh, and sometimes we all had group gatherings to watch The Office. But all in all we were definitely just friends. Of course watching the Superbowl with someone you think is cute never goes according to plan. We may or may not have ended up kissing, and the rest was history. My rebound with long shaggy blonde hair, became this kid that I texted and talked to almost every day. By Valentine’s Day he asked me out on our first real legitimate date.. FINALLY. We went to Rockhoppers for dinner... in typical last minute fashion, he asked me out, and everywhere was clearly booked on February 14th. He has never have been much of a planner... We ate there, and then headed to Littlejohn for a men’s Clemson basketball game. 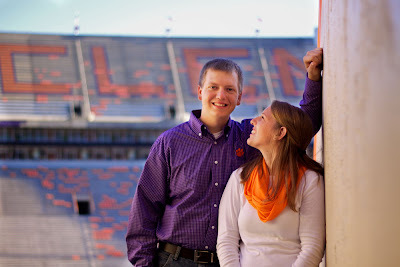 This pretty much set the tone for the rest of our relationship, and Clemson sporting events have been a major part of our relationship ever since. I was in town visiting Josh on a long weekend, because I currently live in Kansas and attend Kansas State University for my Master's degree, and he told me he took the day off on Friday. 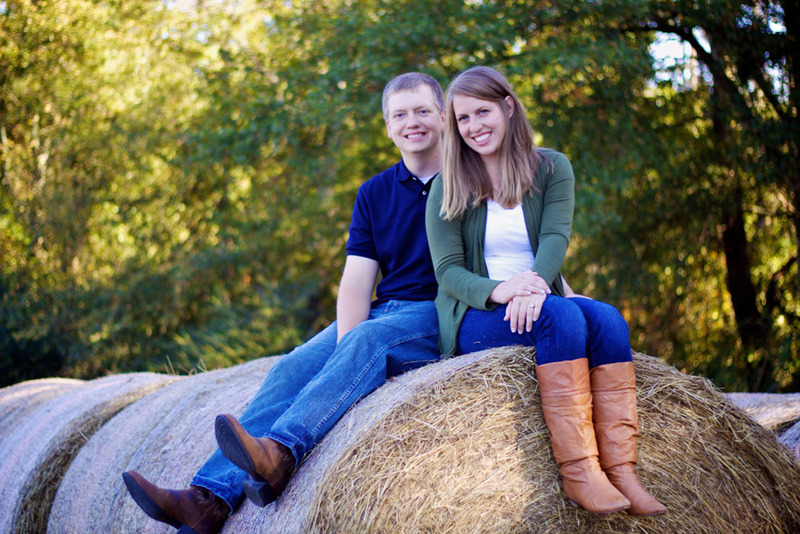 Josh lives in Greenville, SC now and works as an engineer for GE Energy. I was super excited because 1) I got to spend a whole day with him, instead of doing school work, while anxiously waiting around for him to get off work, and 2) that meant that we got to do something AWESOME together. Little did I know, it was going to be this AWESOME. We arrived in Clemson, supposedly meeting people for lunch, but of course that was all a set up. But at the time I was told that our friends were running late, and we would have some time to kill before having lunch with them. So Josh said that we should sneak into Littlejohn Coliseum. I was fully prepared to do so, and embracing our wild side, we went in. As we walked into Littlejohn, I felt like a champ for getting in (through an unlocked door.. but we will overook that detail) and walking out onto center court. Josh was very non-chalant at this point. But I was a little nervous and ready to get our photo taken (and of course post it to Facebook for the world to know we were rebels), and then get the heck out. Heaven forbid we be banned from Clemson sporting events for the rest of our lives. But as we walked to center court, I remarked that there was a Christmas tree out there and how unusual it was. Josh just laughed. At center court, there were also hiking shoes, along with our cute, white, little Christmas tree. I was confused, and made several more silly remarks about how nice those hiking shoes were (commented on stealing them..). Then the realization hit me that all of those things were in fact Josh's... Now he was less calm at this point and realization was setting in. 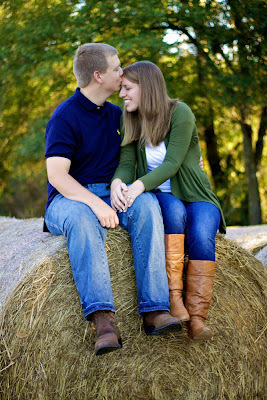 Overall, it was the most hilarious, best fitting, and goofy proposal ever. And I wouldn't change a thing. 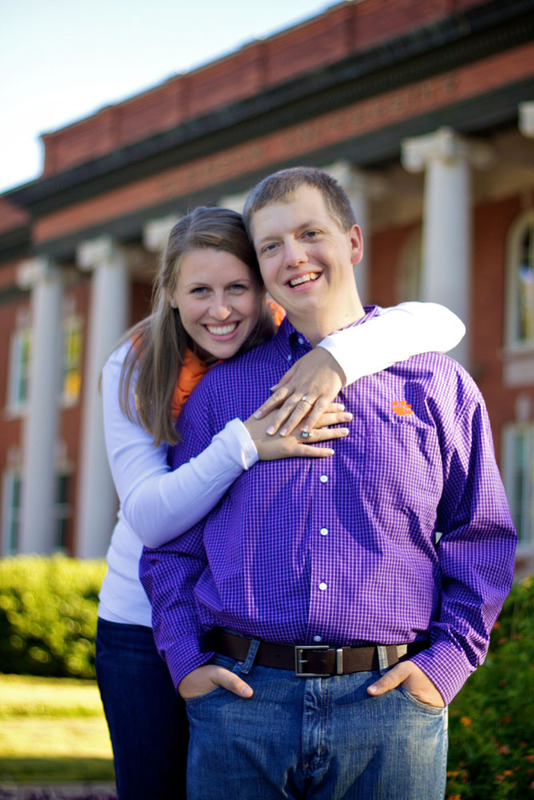 Clemson holds a very special place in the couple's hearts. It is where they met, started dating, graduated from, and where they got engaged. Sara feels like Clemson is the MOST crucial piece of who they are, since without it, they would have never even met! 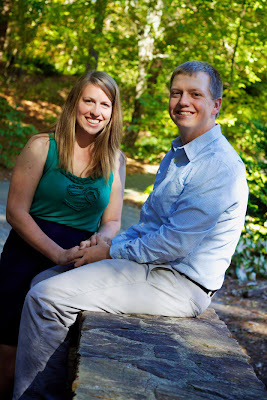 Aside from the summers when the couple were apart (Sara is from Richmond, Virginia and Josh is from Murrell's Inlet), almost all of the couple's time together, every date they have had, and all of their adventures have centered around Clemson and the upstate area. This is why Clemson was a no brainer for their engagement photos location, and Death Valley photos were a must since Josh is a die hard Clemson football fan and season ticket holder. 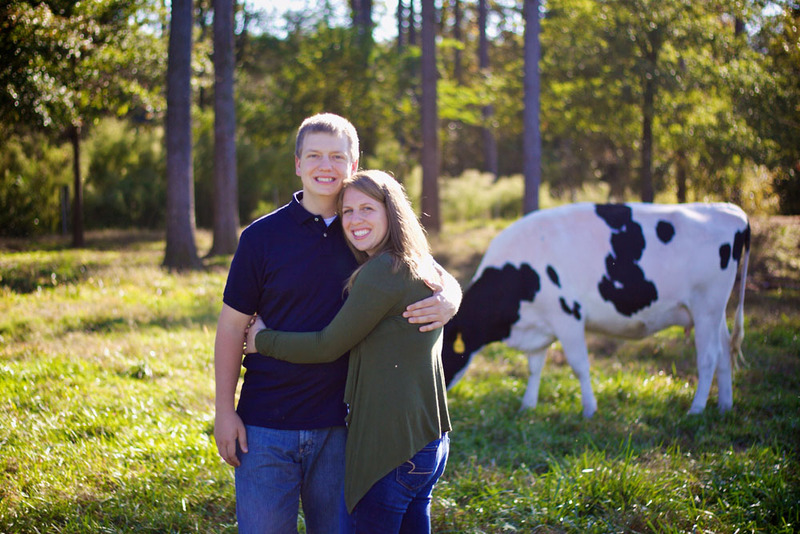 They also took photos at Clemson's Dairy Farm since Sara was an Animal Science major. 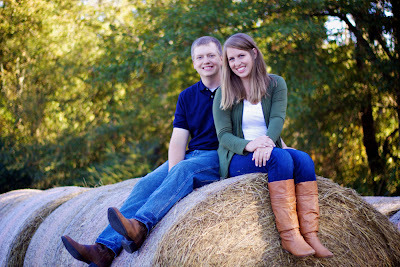 The wedding will be in June of next year. 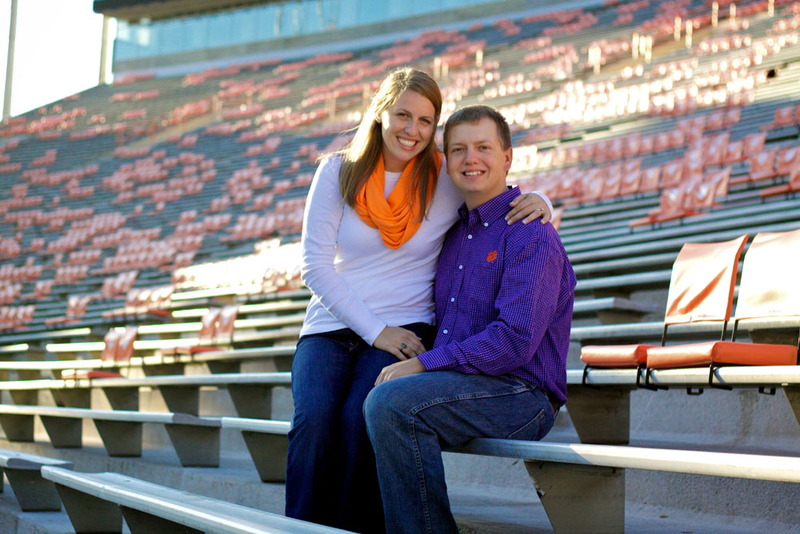 Clemson will be incorporated in the wedding in many subtle ways. 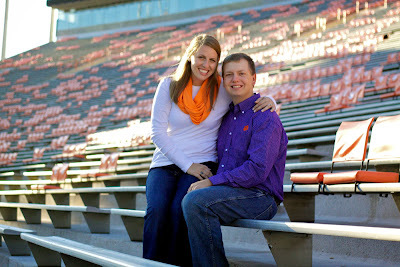 Sara's wedding shoes will be Clemson orange, and Josh's socks will be Clemson purple and orange striped. The groom's cake will also have a Clemson theme to it. The couple's tiger rag that has been with them for several major road trips and excursions will definitely be at the wedding. And Tiger Rag will, of course, be played at their reception. Best wishes to a fun and super cute couple! Thank you Sara and Josh for sharing your Clemson love story and engagement photos with us today. Love them!